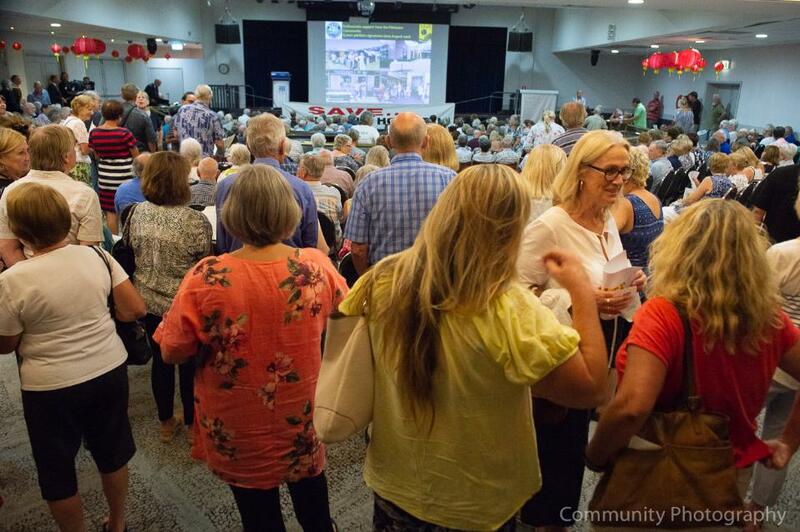 The 600 or more residents attending the public meeting organised by the Save Mona Vale Hospital committee on Tuesday February 5th cheered loudest every time a speaker stated the community wanted Mona Vale Hospital to be returned to, or upgraded to at least a Level 3 hospital. Unfortunately they did not hear what they wanted from Pittwater MP Rob Stokes, with two attendees stating they asked him directly after the meeting if he would support a Level 3 hospital at Mona Vale and Mr Stokes replied: "No." During the meeting Mr Stokes repeatedly said he was relying on doctors’ advice to decide what mix of services were needed at Mona Vale Hospital. “While my job is of course to listen to you … when it comes to healthcare, it is important that I listen to the views of our local clinicians,” Mr Stokes told the audience. “The ones that we count on to actually serve us and save us. Mr Stokes said there had been a real threat to public ownership of the land at Mona Vale hospital, so his first task in relation to it had been to secure the land in public ownership for health services. “That land is to be kept for no other purposes than health care,” he said. "Debates surrounding our local hospitals have been going on since the 1980’s. "We now have a major metropolitan hospital on the northern beaches and we’ve secured a permanent and purposeful future for Mona Vale Hospital." Rob said. "We can’t forget that just over 8 years ago there was no confirmed future for Mona Vale Hospital and no funding for any major capital improvements. We’ve come an enormously long way since then, with almost 90 inpatient beds and over 30 medical services - acute, subacute and non-acute - provided onsite. "As we approach the election there are, of course, many claims being thrown around which simply serve to muddy the situation once again. "The Labor Party is in hiding because they have an embarrassing history of ignoring our local hospitals. Meanwhile the Greens are promising everything and anything because they never have to deliver in government. "I understand and share the passion for our local hospital within our community. I feel this passion and I use it every day to take the messages I hear directly to NSW Health. "I will always support and fight for everything our senior local hospital clinicians recommend, in order to deliver the best patient outcomes for our community. " The second speaker for the evening, Associate Professor Richard West AM, drew loud applause throughout the points he went through. He reiterated the statistics recently released stating that since November more than 3,500 patients have presented to Mona Vale Hospital’s Urgent Care Centre. "As a result, Mona Vale Urgent Care Centre needs to be upgraded," he said. “I think a lot of the people here would like it to be a Level 3 Emergency Department,” Prof West said to loud applause. “If that is going to happen they need to open a Level 3 hospital. Even for a Level 2 hospital, NSW Health would need to ensure doctors and nurses have the proper qualifications in emergency medicine. “They need to be able to be able to resuscitate and stabilise patients before they send them off,” he said. The Ultrasound, CAT scan, pathology, X-rays would all need to be available 24 hours a day, seven days per week, rather than only between 7.45am and 7.45pm. Referring to the new Northern Beaches Hospital, Professor West said this “should be able to do anything” as a Level 5 Hospital with state of the art equipment. "We are seeking confirmation from the Health Minister about whether patients with strokes can be treated there or must be transferred to Royal North Shore for treatment." "Similarly, for cardiac angiograms and stents, as well as the level of trauma services that are available at NBH," he said. "And for a Level 5 hospital (one Level below RNS) all services should be open to public and private patients." he said. Accessibility to the new 500 bed hospital was also raised by Prof. West, stating the new bus service announced this week, to commence in July, would still leave those north of Mona Vale having to catch a bus to catch bus that may not run along its scheduled route of the Wakehurst Parkway every time the creeks of Narrabeen overflow. NSW Nurses and Midwives Association Manager Mr. Dennis Ravlich also addressed the meeting. He said the union had always been opposed to the Northern Beaches Hospital being run by a private operator. “Let’s be clear. The Northern Beaches Hospital is an integral part of the business plan of Healthscope (the operator),” he said. "Private hospitals have an important role to play in the Australian health setting but the provision of essential services that previously were the preserve of the public health system was a significant change," he said. "However, the union is working with Healthscope on a number of issues to ensure the new hospital is an effective and efficient “public” hospital, albeit owned by a private provider." “One of them is an inordinate reliance on casual or agency nursing staff,” Mr Ravlich said. “… As you can imagine it is not ideal for the continuity of care or the familiarity of the delivery of that care to have different nurses coming and going who may never have worked at Healthscope. Mr Ravlich welcomed Mr Stokes revelation that there is no contractual obstacle to adding services at Mona Vale Hospital. 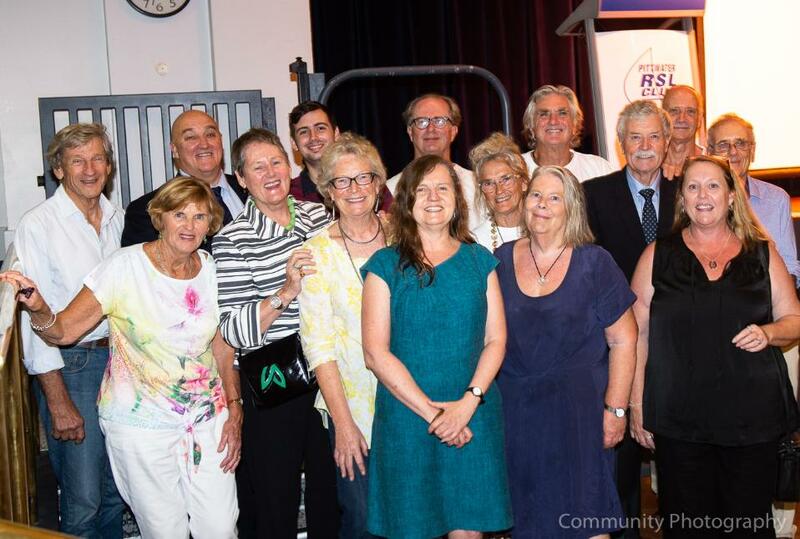 "The association supports the fight to recover Mona Vale Hospital as a Level 3 facility," he said, but also noted it would need extra services in addition to an emergency department. “Some of this is there – the building blocks are there. It’s going to be an enormous challenge for the community but it’s one that we share with you,” he said. Parry Thomas, speaking for the Save Mona Vale Hospital committee, said the community wants a Level 3 Emergency Department at Mona Vale with radiology, pathology, pharmacy, general surgical services, orthopaedics, anaesthetics. “Ladies and gentlemen, we don’t only want, we demand a Level 3 service at that site,” Mr Thomas said to rousing applause. "The hospital’s main building is sound although the exterior was run down because governments have failed to maintain it," he said. He noted that it contained asbestos but said that wasn’t a reason to pull it down. “You’ve got to solve that problem whether you pull it down or fix it,” he said. Mr Thomas said the Save Mona Vale Hospital committee was calling for the state government to investigate hospital services on the Sunshine Coast which is similar to the Northern Beaches in population size. The Queensland government had built a new major hospital there but retained the old ones such as Nambour Hospital (comparable to Mona Vale as a community hospital), with a full range of acute services and a new speciality in geriatric medicine. “So they didn’t close it, they changed it. They have got a Mona Vale,” Mr. Thomas said. Former Home and Away thespian Chris Sadrinna told the crowd his story of being turned away from the Mona Vale Urgent Care Centre despite having a two-year-old daughter whose colouring had gone black and blue and was passing in and out of consciousness. “That’s what we’re to expect I suppose,” Mr. Sadrinna said. “And the difficulty of getting to those places (NBH or other hospitals), when I’ve still got a five-year-old and I’ve still got to run the home and I’ve got to get to the hospital. “And it has gone from 6km away to 23km away from Avalon. Mr Sadrinna is the organiser of a Mobile Army Surgical Hospital tent, based on the Korean war television comedy-drama M*A*S*H* series, that will be set up in Avalon’s Dunbar Park as S*H*A*M* headquarters next weekend. The event will give the community a chance to share their stories and concerns about the closure of acute services at Mona Vale Hospital. Mr Sadrinna has invited all northern beaches residents to come down and join in the fun, which will include local bands, activities such as pregnant egg and spoon races and a real tank for kids. “It’s a corroboree of the community with storytelling at its heart,” Mr Sadrinna said. A wall of words will be created from the hospital stories and, at the end of the event, organisers will compile them and create a communique to be sent to NSW Premier Gladys Berejiklian and NSW Health. The Save Mona Vale Hospital Committee is also planning another rally in march, with details still to be confirmed.